HVAC. It's what we're good. In fact, at Affordable Air Heating & Cooling, we bring our clients over 20 years of experience in the heating and air industry so you can be confident in our services. Our areas of specialty include servicing the residential HVAC needs of clients throughout the Northeast Arkansas area. We work with the best brands out there such as Goodman, Rheem and others. When you need an HVAC repair or new installation, we're on it. Plus, with easy financing options we can supply you with new, efficient heating and air units for a price you can afford. Committed to hard work, honesty and fair services, you won't regret your decision in choosing Affordable Air Heating & Cooling! Please take a moment to explore our website to learn more about what we do. For questions and service calls, contact us today at (870) 919-1318. When you're in need of reliable HVAC services, there's no better choice than Affordable Air Heating & Cooling. Why? Because our commitment is to you and your customer satisfaction. We realize the importance of our work. After all, fewer things are more stressful than your system going out during the dead of summer or winter months. In some cases, this can be very dangerous. That's why we take our job seriously and do our part to ensure we keep your home comfortable year-round with dependable HVAC service. We specialize in everything from HVAC repairs to replacements and routine maintenance. As our client, we believe you deserve only the best for your home or business. 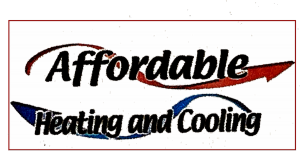 Here at Affordable Air Heating & Cooling, we believe in quality. That's why we stand behind the best brands in the market including Goodman, Rheem, Trane, Rudd and others. Not only do we services and install these brands but we'll happily get one financed for you! With in-house financing options, we help you get the rates you can afford without compromising on an efficient HVAC system. Call us today at (870) 919-1318 for more details! When you're in need of heating and air repairs that go above and beyond, we're on it. We evaluate your entire system to locate the issue and provide the most cost-effective solution. From fixing leaking refrigerant fluids to addressing a malfunctioning thermostat, leave it to the experts! When it's time for an upgrade on your HVAC system, let Affordable Air Heating & Cooling install new heaters, A/C units, and more! 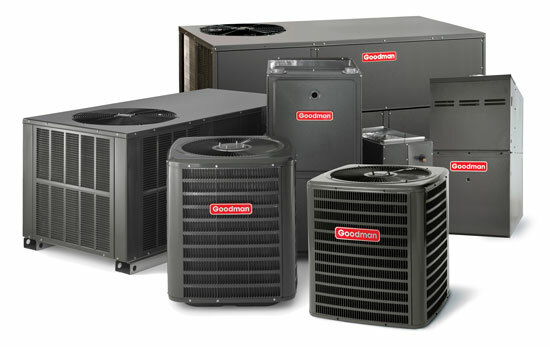 We are the experts when it comes to installing all the notable brands like Goodman, Rheem and other others. Plus with financing available, you get the best rates with us! Part of what ensures that your HVAC system will run optimally and experience fewer repairs along the way is by investing in routine maintenance. By simply having an HVAC professional check on and clean your system, change out filters and make necessary adjustments, you can save big time! If you're struggling with a pesky HVAC issue, don't let the problem progress---instead leave it to the experts! At Affordable Air Heating & Cooling we're more than euipped to assess the problem and provide the most cost-effective solution for your home or business. Specializing in residential heating and air services along with light commercial, we are here for you!